Islamabad: The ICJ will neither acquit nor release Indian national Kulbushan Jadhav, who has been sentenced to death by a military court, the lawyer representing Pakistan at the global court claimed today, asserting that India has wrongly claimed victory in the case. "The Jadhav case is a very clear case. He can never be released or acquitted," Khawar Qureshi told media after a meeting with attorney general Ashtar Ausaf Ali. "You are making something out of nothing,” he told reporters. "Foreign office will be giving you a much more detailed press statement soon,” he was quoted as saying by the Nation. The UK-based lawyer said that India has "wrongly claimed victory" after the Hague-based court "temporarily" stayed the execution of Jadhav. "The problem seems to be that this case is more about political point scoring than about the law," he said. 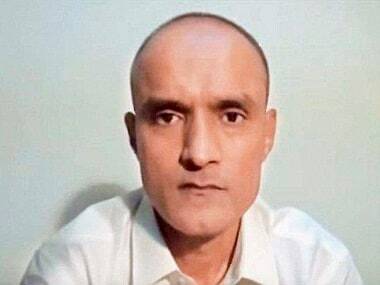 Jadhav, 46, was sentenced to death by a Pakistani military court on charges of "involvement in espionage and sabotage activities" against the country. The ICJ on 18 May stayed the execution of Jadhav. The ruling triggered criticism of the Pakistan Foreign Office (FO) for its "poor handling" and also for its choice of Qureshi, who represented Pakistan’s case before the ICJ. 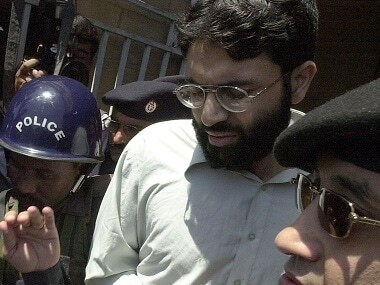 Several political analysts and politicians had claimed that the country's legal counsel was not adequately prepared. Following the verdict, media reports claimed that the attorney general will represent Pakistan in the Jadhav’s case at the ICJ after widespread calls for a change in the country’s legal team. Meanwhile, the Attorney General said that Pakistan would present all evidences before the ICJ in the Jadhav case, the Associated Press of Pakistan reported. He claimed that Pakistan’s stance has not been rejected at the ICJ and the interim verdict of the court is not a defeat or victory of any country. Replying to a question, the Attorney General said, "Pakistan is a responsible country and would not violate the international laws but never compromise on the national integrity." The Attorney General said he would consult the national security committee on the Jadhav issue. He said Pakistan is satisfied over the matter of his arrest and punishment and the country is not "answerable in front of anyone" about the decision of death sentence to Jadhav. To another query, he said Pakistani court has provided justice to Indian woman Uzma, who was forced to marry a Pakistani man at gun point. She was allowed by the Islamabad High Court to return to India following a plea she filed with the court requesting its directive after her husband took her immigration papers.